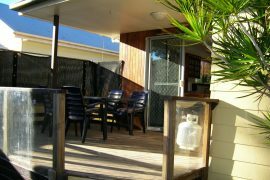 Our five homes are perfect for families and groups looking for long-term (but not permanent), value-for-money accommodations in Brisbane. Whether you need a home to stay in for a month or three months, our fully-furnished homes are more practical alternatives to hotels while still meeting your needs for comfort, convenience and security. Our charming 3 to 5-bedroom homes will make you feel as if you’re at your own home! We have designed our homes to comfortably accommodate 8 up to 12 adults, and four of our homes can also accommodate your pets! We also provide a cot and a high chair upon request to make your baby or toddler comfy. Complete with private bedrooms, clean bathrooms, comfortable lounge chairs, open spaces and a large backyard, our homes are ideal if you want to experience a homey long stay! Rest assured your comfort and privacy is guaranteed during your long stay with us! All our homes are private, stand-alone properties that only accommodate one family or group at a time. There is also no on-site management staff so the whole house is yours! 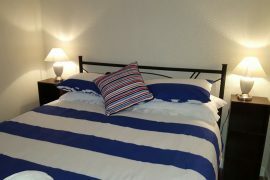 Should you find our homes too comfortable, you are not alone – we already had guests who stayed with us for a few months! In line with our commitment to make your long stay as comfortable as possible, we have included convenient, modern amenities to our homes. Prepare and cook hearty meals in your fully-equipped kitchen complete with a full-size refrigerator, oven and stove top. 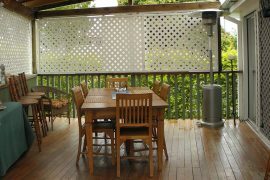 Host an authentic Aussie BBQ using your own grill at your private backyard complete with outdoor dining furniture. Once the feast is over, spend more time with your family instead of the dishes and laundry with our dishwasher, laundry and ironing facilities. Linens and towels are provided for free. 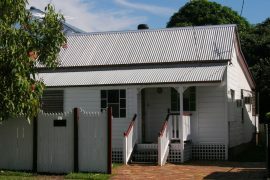 Our homes are also ideal for professionals and workers handling long-term projects in Brisbane. We have even hosted a film crew for a major production! Our free and fast internet connection will keep you connected with your family and colleagues back home. Staying with your colleagues? Our spacious homes guarantee you will all have your own workspace! Even better, our affordable rates will make your company accountant happy! 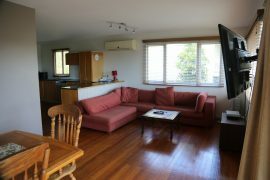 Our homes are well-located in the sister suburbs of Wynnum and Manly. The Brisbane airport and CBD are easily accessible by car, and public transport – bus and train stations – are within walking distance to our homes. Shopping centres, coffee shops, bars, clubs and restaurants, and plenty of entertainment options abound in our community, so your long stay is sure to be packed with fun memories! Check out the many exciting activities that Wynnum Manly offers for your whole family or group to enjoy! You can visit nearby islands, go fishing, kayaking or sailing, or simply take a dip in one of our beaches and pools. Bring your pet along to our pet-friendly cafes and parks. Take your kids to our water park and playgrounds, then cap off your long stay by dining in one of the many restaurants along the beautiful esplanade.